The Beatles 50 Years Ago Today: April 26, 1967. Beatles Radio: The Beatles, Solos, Covers, Birthdays, News The Fab 4 and More! 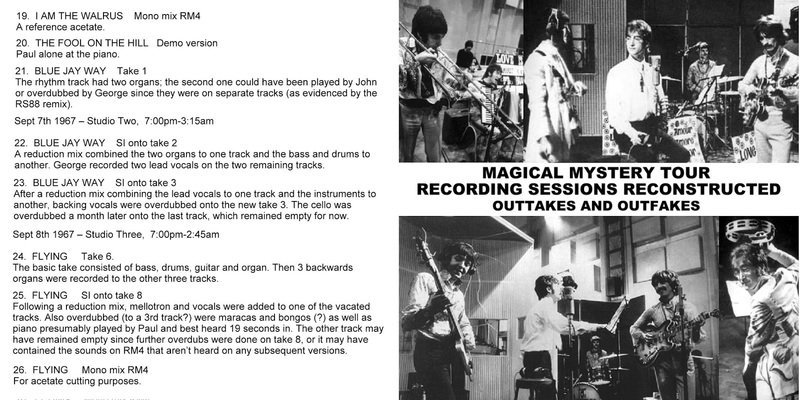 Overdubbing of bass, maracas, cowbell, tambourines, and backing vocal shouts onto "Magical Mystery Tour" took up the lion's share of this 7:00 pm to 2:00 am session. Another reduction mixdown then took take eight into take nine.